Moving to a new city can be challenging, especially when you don't know where to start your search for great places to meet new people. Fortunately, if you're relocating to Portland, there are a great number of clubs, social groups, and dating events that are sure to introduce you to a wide variety of people. No matter what your interests, Portland is a thriving city full of people looking for adventure and conversations. With a host of great nightlife venues, fantastic restaurants, and plenty of places to explore in the city and nearby in the beautiful wilderness of Oregon, you're sure to find something to suit your individual needs. Whether you're looking to expand your circle of friends or looking for an attractive partner to go on a date with, the following meetups and events are sure to inspire newfound friendships and maybe even a romantic affair. Even though they call themselves a ski club, this group gets together for all kinds of events including dinner parties, camping trips, and nights at the theater. Established in 1966 as a way for ski enthusiasts to promote the sport and get active members involved, this social club has evolved into a catch-all for outdoor enthusiasts living in Portland who want to share in some group fun (and discounts) around the Pacific Northwest. Serving Chicago, Dallas, Denver, Houston, Minneapolis, Nashville, Phoenix, San Antonio, San Francisco, San Jose, Seattle, Vancouver, and Portland, Events & Adventures is a singles-only group geared toward those who want to experience more on their dates than a typical dinner and movie combo. This invite-only organization features special events and adventures every night of the month—from community activism projects to trips abroad to jumping out of planes. The Portland Skyliners Tall Club was first introduced to the city in September of 1955 as part of the International Tall Club and incorporated in 1957 as a way to promote friendship and fellowship among tall people in the city. Although their events aren't exclusively for tall people, to enjoy member benefits men must be at least 6'2" and women at least 5'10" without shoes. Orienteering is a competitive sport where participants attempt to navigate quickly through various marked checkpoints in designated areas, from city parks to wooded forests. This group offers events for people at all levels year-round in the Portland area, and beginners are welcome—even if you're not a member. However, members can enjoy special perks like training excursions for a low annual fee. 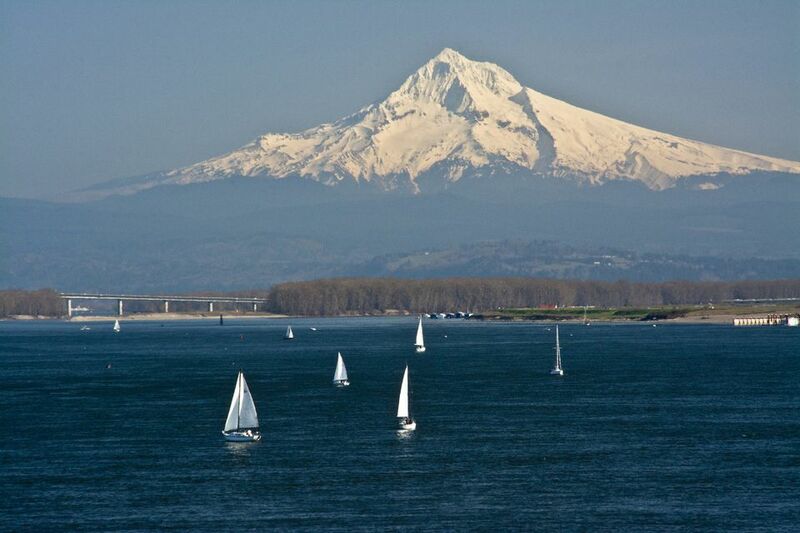 The Willamette Sailing Club is the only small-boat sailing club in Portland, dedicated to sailing enthusiasts with boats under 20 feet long. This club organizes special occasions where sailors can get together for racing clinics, social events, and regattas. All events are open to the public, but membership fees include access to WSC facilities, keeping your boat on the Willamette River, and discounts sailing lessons through the "Learn to Sail" program. MeetUp is an organization that's all about connecting people with common interests, from politics to pets. You can find groups of people to connect with or start your own group, and it costs nothing to join. This popular app has come to most major cities in the United States, so if you've moved from another city with the app to Portland, just transfer your membership to a new location and start looking for your niche! This group's activities revolve around hiking, climbing, and conservation, but Mazamas also offers classes such as Basic Climbing and Avalanche Awareness for people interested in outdoor adventure. With over 700 and 350 climbs annually, Mazamas is one of the leading non-profits when it comes to outdoor adventures in the area, and all classes and activities are offered to members and non-members alike. Since 1915, the Oregon Trails Club has organized hikes and outdoor adventures for nature enthusiasts in the Pacific Northwest areas of Mt Hood and the Columbia River Gorge, sponsoring year-round recreational activities out of their two host lodges. Although the wildfires of late 2017 partially destroyed the lodge at Nesika, the Tyee Lodge on Mt. Hood still hosts a variety of activities throughout the year while the other lodge is being restored.